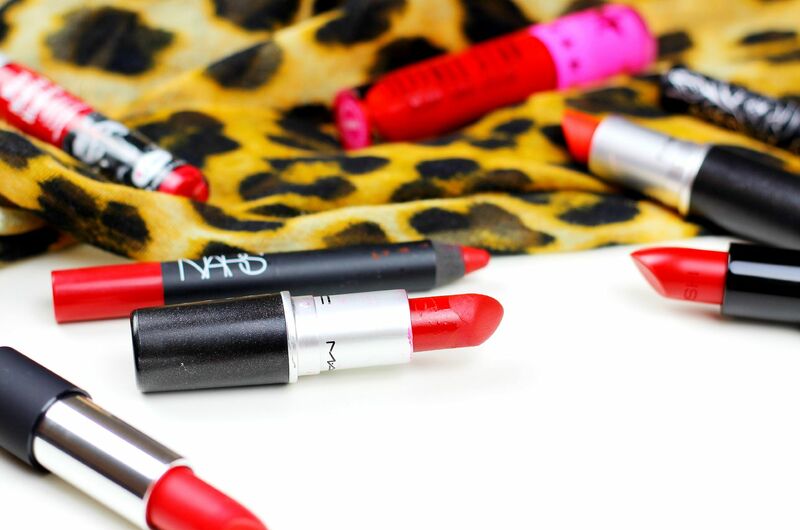 The very best matte red lips. At the risk of repeating myself, matte lips are my thing. Give me a gloss and I’ll run away, so I’m well-versed in experimenting with different matte lips. A connoisseur, if you will. A red lip line up wouldn’t be worth doing without Ruby Woo, right? 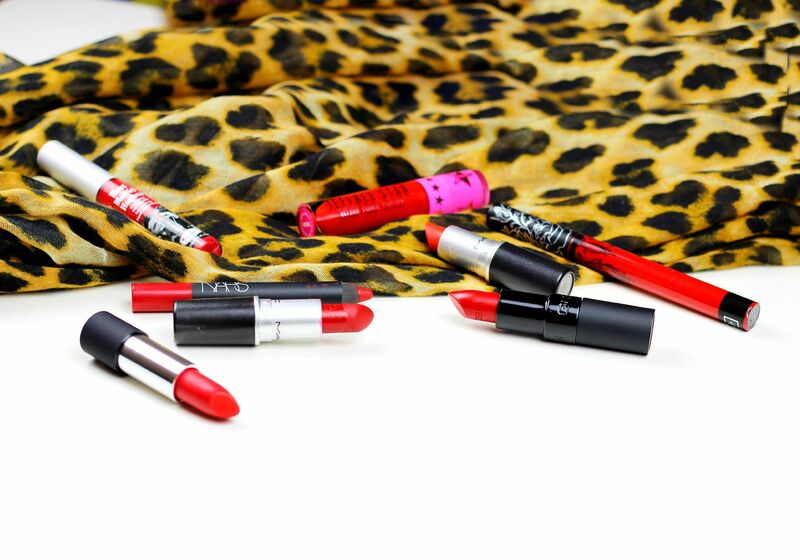 The best red lipstick there is, basically. So blue-toned, this one always reminds me of the perfect rockabilly red. Super matte, super bright and basically perfection. This is also the best red for making your teeth look whiter, y’know. While we’re on the subject of MAC, do I even need to talk about Lady Danger again? I love it too much, and it’s the perfect orange red lipstick for everyone, everywhere. *sings praises forevermore*. For a more budget friendly matte option, the Gosh ones, especially Scarlett, are lovely and creamy with lots of pigment. I’ve also been liking the B. Matte lipstick in Dita (best name for a red lip, non? ), which has some orange in it and does that magical thing of making you look more awake. This one is a comfortable red to wear, and won’t make your lips cry. Some other options aside from MAC – the NARS velvet matte pencils are gorgeous, and so easy because you just scribble in the vague direction of where your lips are and hope for the best. 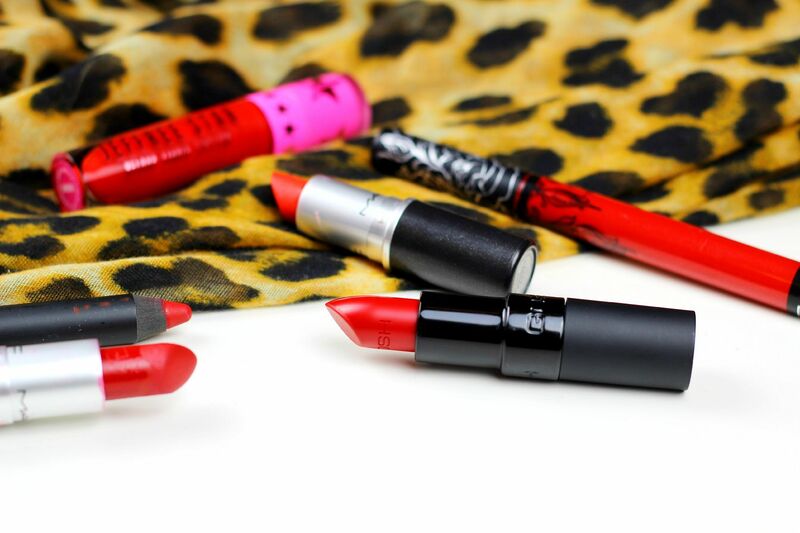 I love them all… Cruella, Red Square, Red Dragon. I always always always have one of these in my bag for when I want to add some red lipstick. If you want a really, really classic red in a powdery finish (yes, always), then a liquid lipstick is your best bet. Yes, they are matte and will dry your lips, but it’s so worth it. What did I even do before liquid lipstick? I don’t want to think about it. The best red ones I have tried are Jeffree Star Redrum (swatched here), Kat Von D Outlaw and theBalm Meet Matte Hughes in Devoted. Do you do red matte lips? Why you need a Zoeva palette.